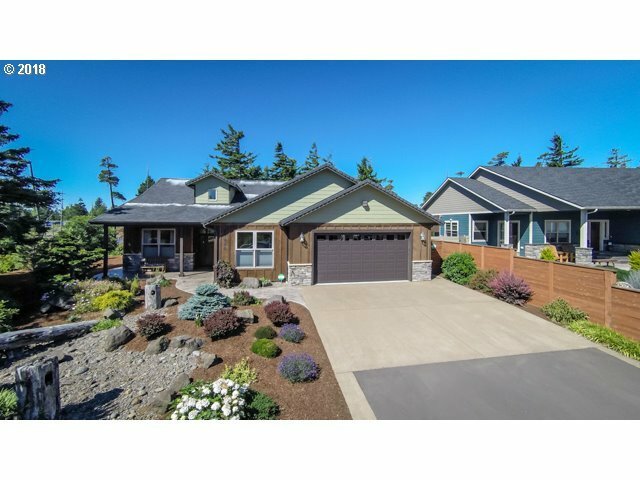 BEAUTIFULLY DESIGNED & MAINTAINED NW STYLE HOME in upscale Reserve on Heceta Lake. Surrounded by trees & thoughtfully landscaped, you'll feel like you're in the country. All 1 level, NO STEPS inside or out. Walk-in shower, frameless glass doors & heated floors in master bath. French doors to office. 18' wall of custom cabinets & wood floors in great room. Covered patio with wind wall for lake view outdoor living. Don't miss this one!